Want to take part in a friendly competition, do something charitable AND make fun of the Flat-Footed Fox all at the same time? To run a successful marathon, it’s important to set a realistic goal time to help you gauge your progress during the race and pace yourself correctly to avoid crashing and burning before the end. Recently, Runner’s World and legendary runner and writer Amby Burfoot developed a new calculator that claims to produce a more accurate prediction of a finisher’s time than previous calculators. 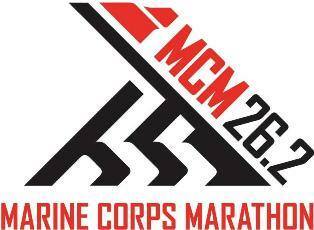 So with the Marine Corps Marathon now less a month away, I thought it would be fun to test it. And it was. Except I was not happy with the time it gave me. At the same time, I was thinking about the fact that this would be the first time I had run a fall marathon without running for Team Fox. For a number of reasons, I wasn’t able to make a commitment to them this year. But I still wanted to do something charitable to give thanks that I was still healthy enough to take on another marathon. That’s when the idea of this prediction challenge came to me. Why not ask fans of the Flat-Footed Fox to predict my finishing time? And why not donate $50 to the charity of choice of the person who comes closest to my actual finishing time? The Runner’s World predictor is obviously a good place to start. To plug in one of my recent times, go here first; then, go back to the predictor, fill in that number and that I have been averaging 50 miles a week (for the last six weeks) and see what you get. But here is where it gets interesting. My last half marathon time was on the slow side for reasons I will go into in my next blog. And even though all my times this year have been slow, I have been getting faster during this last training program. As an example, my tempo runs (runs that are supposed to be taken at race pace) are a good indicator that I am improving slowly but surely. Here are my times from the last four weeks. Of course, you can’t simply multiply those times to predict a time over 26.2 miles, as all runners will drop off the pace toward the end of the run. But even allowing for that, I think I will be faster than the Runner’s World predictor. Maybe. Not so easy, is it? Performance in any marathon is also determined by the course elevation and the weather, so you should factor that information into your equation. And follow this page for a training update and the build-up to the main event to see how the Flat-Footed Fox is doing. The closest guess received by MCM gun time (see below) will receive fame, glory and a $50 donation to the charity of the winner’s choice. And I will add 100% of any donations received between the publication of this post and the end of the competition. Simply click on the Donate button at the top of this page if you’d like to contribute and add to the prize money. Fill out the form below. Click submit. Rinse. Repeat–you can enter as many times as you’d like. But all entries must be received by MCM gun time (Sunday, October 30 at 07:55 EST; UTC-5:00). The winner will be announced as soon as possible after the official results have been published. This entry was posted in The Flat-Footed Fox, Uncategorized and tagged long-distance running, marathon training, Marine Corps Marathon. Bookmark the permalink.